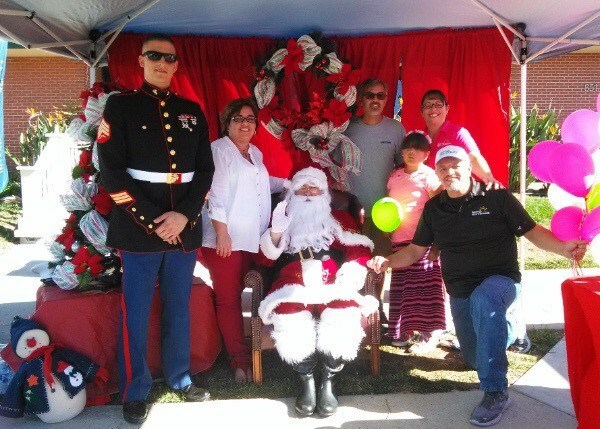 This year marks the 17th year San Diego Self Storage and all 17 locations throughout San Diego County have supported the Marine Corps Reserve's Annual Toys for Tots program. Every one of our locations serves as a collection site and are ready and prepared to receive your donation of new, unwrapped toys. The primary goal of Toys for Tots is to deliver, through a new toy at Christmas, a message of hope to less fortunate youngsters that will assist them in becoming responsible, productive, patriotic citizens. To participate in this year's Toys for Tots toy drive, bring your new, unwrapped toys to any one of our 17 locations in San Diego and put them in our specially marked collection boxes. We are happy to help collect toys from our customers, neighbors and friends, so please feel welcome to encourage your friends and colleagues to participate in the toy drive and drop off donations at our facilities. Founded in 1972, San Diego Self Storage is one of the largest self-storage providers in San Diego County with a network of 17 neighborhood self-storage facilities and additional facilities in Los Angeles and Orange County. The company offers small personal units and multiple larger units for commercial accounts. In addition, San Diego Self Storage offers a unique “1st Year Price Guarantee” along with discounts to active militarily personnel and their families, as well as senior citizens. For further information, call (858) 909-0090 or visit http://www.SanDiegoSelfStorage.com.